You can access the gift list by selecting the list type (i.e. wedding, event) and by giving the first name and surname as search criteria or by list number. The gift lists show which gifts are still available to buy. You can buy online or in the Department Store. If you buy directly in the Department Store, please inform the sales assistant that your purchase is from a gift list – the product will then be removed from the list. The “Quantity” column shows the number of each item that can be bought from the list. Enter the quantity you wish to buy in the column “Quantity ordered” and then click the “Add to shopping basket” button. You will then be taken to the next page. The shopping basket page shows the contents of your shopping basket. If you wish to remove an item from the shopping basket, check that row and click on “Delete”. The contents of the basket will be updated immediately. You can print the contents of your shopping basket by clicking the “Print” button. On this page you also choose the delivery method. You can pick up the gifts from any Stockmann department store in Finland or you can have them shipped home to you in Finland – the charge for delivery within Finland is €10 per shipment. The bridal couple may have agreed with the Wedding and Gift Service that gifts are delivered direct to the wedding reception. 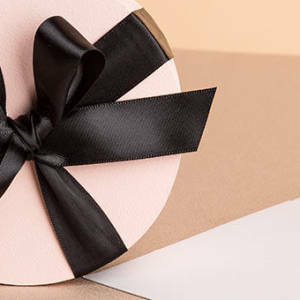 If this option is available and you select it, your gift will be delivered together with all the other gifts to the address specified by the bridal couple. Gifts to be delivered must be purchased at least 3 working days before the wedding day. The deadline for delivery is marked as seen. You can select a card to accompany your gift. Please write and your message in the “Personal Message” field and save it before returning to the shopping basket. If you do not wish to purchase a card, please choose “Without greeting card”. A pop up window will appear where you need to confirm your choice by clicking “Back to shopping basket”. A label with the name of the purchaser will be enclosed to your gift. On the Payment details page you give the information required for the payment. The required fields are marked with an asterisk. On this page, you can also write a message to the Wedding and Gift Service in the “Additional information” field. If your chosen method of payment is credit card, mark the credit card of your choice and continue by clicking “Accept the transaction”. You will then be directed to the Digital payment service. After having completed the details, click the “Accept the transaction” button. The text: “Thank you for your order. Your order was completed successfully.” will appear on the screen. Our personnel will collect the gift(s) in the store and they will then confirm your order. Please allow two working days for this. Should you wish to use another method of payment, please contact Stockmann’s Wedding and Gift Service by telephone +358 9 121 3440 or e-mail: weddingservice@stockmann.com. We serve you during the business hours of the department store. While on the Payment details page of the shopping basket, you can write a message to the Wedding and Gift Service in the “Additional information” field. Stockmann’s Wedding- and Gift Service is located on the 8th floor of the Helsinki downtown department store and at the Service Point in the other department stores.